A few weeks ago I shared that I've recently taken up running. Okay, I use that term loosely. I hardly see myself as a "runner", but my training group leader keeps insisting that I AM a RUNNER! Who knew I had it in me?! After completing an Ease into 5K program on my iPhone, my sweet friend Shea (who just also happens to be the director at my local YMCA) talked me into joining the training team there. What really didn't compute with me is that it was a training for a half-marathon. I'm going to be real with you here... When I say that I didn't know how many miles a half-marathon is, I'm not kidding. And even after I learned how many miles, I still had no clue how many hours that might take. LORD HAVE MERCY ON MY SOUL AND MY BODY! What have I gotten myself in to?! I am now registered for the Route 66! Gulp! Well, happily, I can report to you that I've almost made it through 5 weeks of training and I still haven't died. BUT!! I'm no where near ready for a 13.1 mile run. As a matter of fact, my farthest distance so far is 5 miles. Tomorrow we will go 6 miles. I'm already getting a little stressed and anxious about it. How can I do 6 when 5 seemed almost too much? 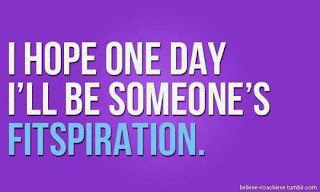 However, I have no doubt that I'll be able to do. I continually shock myself when I do just a little bit more or a little bit better than the time before. SHOCK, I tell ya. My mind seems to be my worst enemy. My shins are a close second. I'd like to share with you how we train. It's because of this training philosophy that I'm able to do this and even remotely think of myself as a "runner." I've always thought to be a runner meant you couldn't walk - at all. Our training is based on the run/walk method by Jeff Galloway. I'm learning to love that man. My leader encouraged our group to buy a book by him. She said it really didn't matter which one because they are all good. I bought the book called Running: Getting Started. It was a very easy read and made SO MUCH SENSE! Run/walk means you do interval training. You run for a certain time and then walk for a certain time. 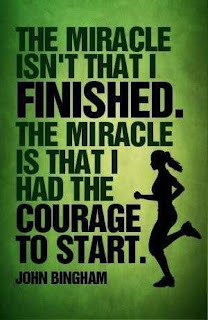 Beginners generally start out at a 1:1 (run a minute, walk a minute, run a minute, walk a minute, etc.) Those in our group that have been running for a long time are running 4:1. I've learned a few very important bits of information from him and one that really surprised me. 1. You shouldn't run with a long stride. It should be a short stride and more of a shuffle. It's important not to "pound" the pavement too hard. When you run with too long of a stride or too fast, you can do damage to your shins. Sadly, I learned this the hard way. I should have read this book BEFORE my first run with the group. My first two times out with them I ran way too fast and too hard (4:1). My shins have paid for those two runs ever since. I now have to ice my shins after my runs, take Naproxen and wear compression sleeves on my legs. I also have slowed my running way down to a 2:1. I did do a 3:1 interval on our Wednesday run but that proved to even be painful on my shins. Boo! My mind and most of my body can move up to a faster interval but these dang shins are refusing to comply. 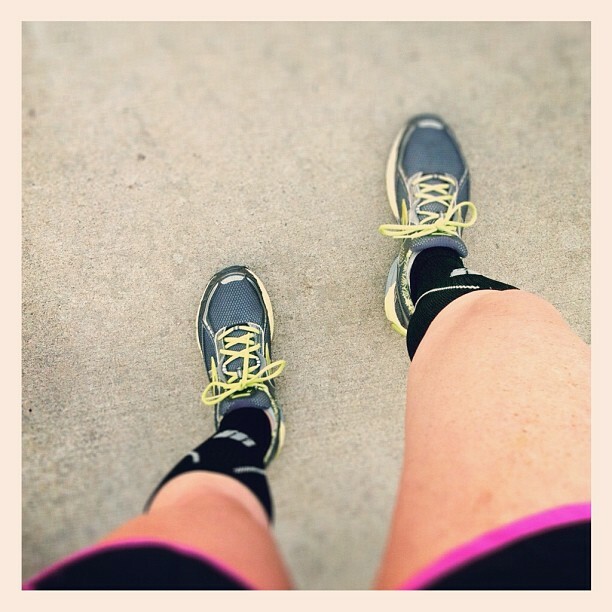 This is a picture of me wearing shorts to run in for the first time along with my lovely compression sleeves. 2. Stretching isn't necessary for running. WHAT?! Yes, you heard me right. When my shins started hurting and I posted about having to take a few days off from running on my Facebook page, I got all kinds of feedback from my friends. And all of them said I needed to be stretching before and after my runs and that's probably why my shins were hurting. Of course that made perfect sense to me so I started stretching. I also did everything else that was suggested - ice cups, compression sleeves (I personally recommend these as they let your leg "breathe" and not get wet with sweat), getting a massage, anti-inflammatory medication, and rest. It's good to know my shins weren't hurting from not stretching and more because I pushed myself way too hard before I was ready. Jeff Galloway talks about stretching in the following short video. 3. You can burn more fat by interval training and then on your "off" days, walking at least 30 minutes. I'm a believer in this now. The week I incorporated this I weighed in at Weight Watchers and had lost 4 pounds!! The past two weeks, however, I haven't tracked my food like I should and I've not lost any more. This running business makes a person hungry! I also learned something else new this week from an article sharing running tips. 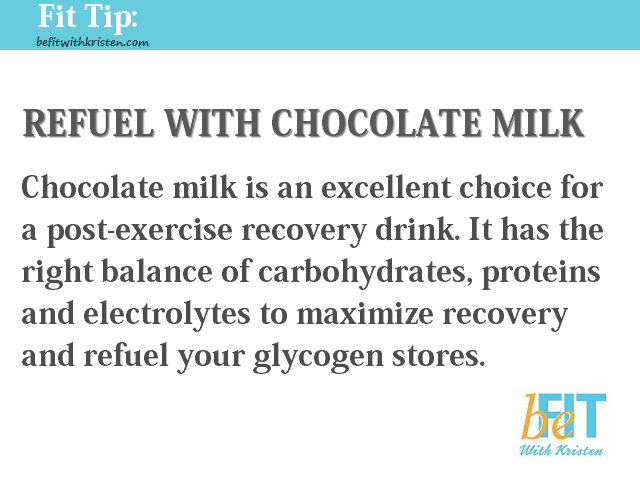 Chocolate milk is an excellent recovery drink. The perfect mix of carbs, protein and sugar.Who knew?! Apparently lots of sports moms, that's who! Mrs. Montgomery informed me her boys' coaches have them drink it after practices and games. 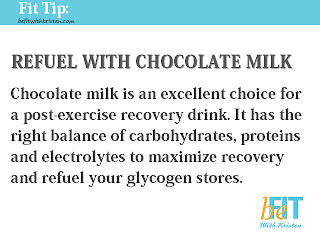 I've happily started drinking a glass of chocolate milk about 30 minutes after I run. 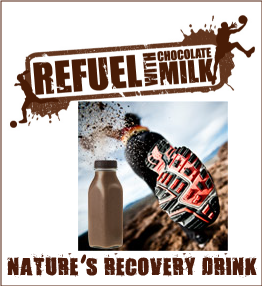 No need to buy those expensive recovery drinks. I hope I've inspired a few of you to give running a try. 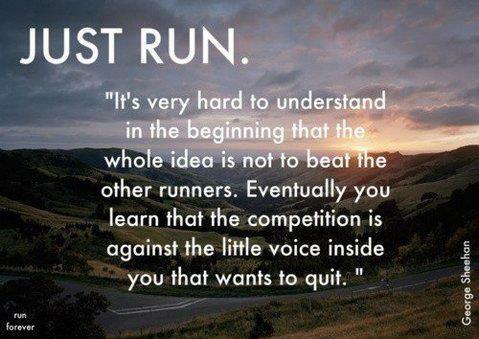 For those of you who consider yourselves a runner, did I share anything you didn't already know? Have you read any books by Jeff Galloway? If not, I'd highly recommend that you pick one up. I'm going to pick up his book on running and weight loss and the one on training for a half marathon. I need and want all the help I can get. Do you know what I really, really love? 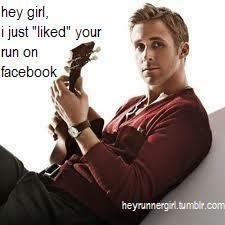 I love that runners everywhere are genuinely supported of each other. It's like I belong to some sort of cool club where everyone is nice. Want to join my club? If I can do this, most anyone else can as well. Priss shared this one on my Facebook wall and it made me LAUGH OUT LOUD! I'd like to give a special shout out of thanks to a few people who have been extremely helpful and encouraging to me while I'm learning to run: Jonni, Jen, Tracy, Dana, Shelly, Michele, Shea, Jennifer P, Jennifer K, Nicole, and countless others who "like" and comment on my run posts on Facebook. You all encourage and bless me in ways you'll never know. Mwah!